Temper the chocolate until melted. Mix with cereal until well coated. 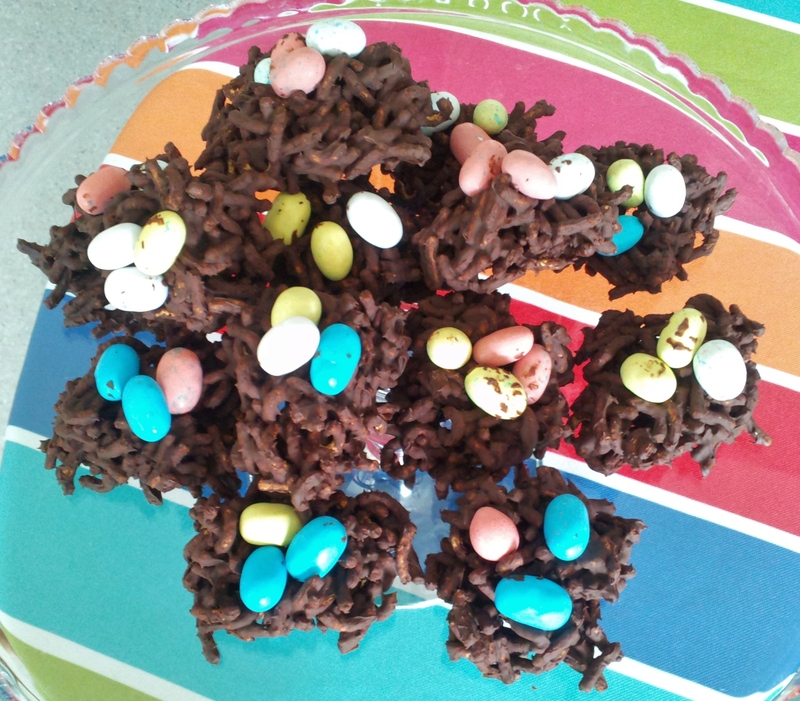 Shape into nests on a wax-paper lined cookie sheet. Top with robins eggs and freeze for 30 minutes or until hard. Enjoy!